Bob Alonzi has been in private practice in Santa Monica for nearly 30 years. His interests in sports and physical activity have led him to take special interest in athletic and traumatic injuries along with injury prevention and rehabilitation. Bob has worked with professional and recreational athletes from many different sports in addition to aerialists, gymnasts and modern and classical dancers. In addition to athletes and those who are physically active, Bob works with members of the general population who may be affected by chronic muscular and skeletal pain and limitation. He also provides care to clients with scoliosis, kyphosis, spinal and joint conditions. Many clients come to Bob with postural issues (stooped shoulders and excessive lower back curvature) and repetitive motion injuries. Bob has found the most effective treatment for a client is the combination of hands-on Rolfing, education of the body’s pattern influences, and functional training. Continuing Education: Fascial Fitness Association: Training and Certification 2013. Dermo Neuro Modulation (DNM): Training 2014 and 2015. Rolf Institute CEU’s as required. Family: Married 36 years. Pug/beagle mix named Max. Interests: Cycling (mountain and road), skiing, Pilates, spinning and core strengthening, hiking, Pickle Ball, reading, travel, writing, cooking, and gardening. Volunteer: Ride Leader for the San Fernando Valley Bicycle Club. If you are looking for a practitioner of Rolfing™, in Los Angeles, Santa Monica, Encino, Sherman Oaks, or Van Nuys . 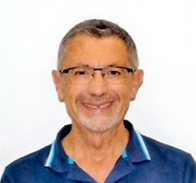 Bob Alonzi stands out from the rest because his approach to the practice shows a high level of professionalism and client sensitivity, as well as a strong knowledge of the muscular and skeletal systems and the problems that can occur within these systems. He has received both the basic and advanced certification from the Rolf Institute, and currently sits on the Institute’s Ethics Committee.